Ed Sheeran is a true inspiration. His moving and uplifting songs forge a lasting connection with the millions of people around the world who love him and his music. He was the thirteen-year-old guitarist in a school rock band when he decided to become a singer-songwriter, even though he could barely hold a tune and had never written a song. Within a year, he had recorded an album in his bedroom. Bestselling biographer Sean Smith traces the astonishing journey of the shy little boy with a stammer who, avoiding flashy showmanship, grew up to be a global phenomenon. 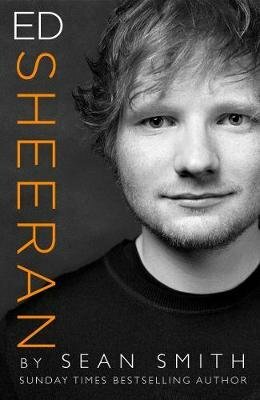 Through compelling new research and interviews, he tells the story of Ed's remarkable mum and dad who gave their son the courage to pursue his dream, the friends and mentors who encouraged him and the lovers who inspired his most famous songs. Smith describes the setbacks Ed faced before his fortunes were transformed by Elton John's management company, a record deal and a song that changed everything - with a little help from Taylor Swift. Ed found it difficult to cope with the world at his feet, but a new relationship with a girl from his home town has brought him happiness and a fresh purpose in life. Now he is the most successful solo star on the planet, earning GBP83 million last year. Yet in the middle of his record-breaking 2018 UK tour, he played for just 400 people at a charity night to raise money for the homeless. As this captivating book reveals, there's no one quite like Ed.